Our knowledge of the endocannabinoid system began in the plant kingdom in the 1940s with the discovery of receptors in cannabis plants and given the name cannabinoids1. The cannabinoid system helps plants ward off predatory insects while attracting beneficial pollinators and helps them survive harsh climatic conditions such as frost, heat and dehydration. Fast forward to 1988 and our knowledge of cannabinoids makes the leap from plants to animals when researchers discover the very same cannabinoid receptors in the brains of laboratory rats. And not only that but they noticed that these receptors outnumbered all other types of receptors in the rats’ brains1. In keeping with the rules of scientific naming, since the receptors found in the animals were identical to those found in plants the scientists acknowledged that fact by tacking on, somewhat anthropomorphically, the prefix endo-, meaning within, to indicate that these are the same molecules, only in animals – as in mammals, particularly us, humans. We now know that cannabinoids are found in many plants and in all animals except insects, with each species displaying its own unique distribution pattern. CB1 receptors are found in the central nervous system, i.e. brain and spinal cord. But what good is a receptor without a molecule to activate it? The first endocannabinoid activating molecule, arachidonylethanolamine (AEA), was discovered in 19921. AEA was aptly dubbed with the common name anandamide, after the Sanskrit word ananda, meaning bliss. A few years later, a second endocannabinoid, arachidonylglycerol (2-AG), this one capable of activating both CB1 and CB2 receptors, was identified, though it has not been given a catchy nickname. In addition to these two main endocannabinoids there exists an array of lesser endocannabinoids. These have low activity levels by comparison to AEA and 2-AG. Instead they work in service to the two main endocannabinoids by acting as synergists to boost their effectiveness2. Endocannabinoid molecules are made of polyunsaturated essential fats, known as omega-3 fatty acids. You get these in your diet from eating fish and eggs and also from an array of plant foods such as hemp, flax and chia seeds, walnuts, green leafy vegetables. Your body produces endocannabinoids on an as-needed basis, as opposed to manufacturing them continually, then storing and releasing them. Through a highly efficient process, a lipid molecule already present in the cell membrane is converted into CB1 or CB2. The endocannabinoid production process works in a negative feedback loop, whereby high levels of certain signaling molecules trigger the production of endocannabinoids which then loop back to inhibit further release of that chemical2. This comes into play, for example, in the way your body normally manages pain and for this reason endocannabinoids are being studied for their potential use as a tool for managing pain in patients with peripheral neuropathy and other chronic pain conditions. Your endocannabinoid system helps maintain homeostasis – the ability of your body function within safe limits. As such, the endocannabinoid system is vital to your health on all levels. Everything from your sleep habits to your mood and memory, appetite, physical activity, pain perception, and even your immune function rely on the endocannabinoid system. When it is functioning well, your are healthy, energetic and mentally focused. 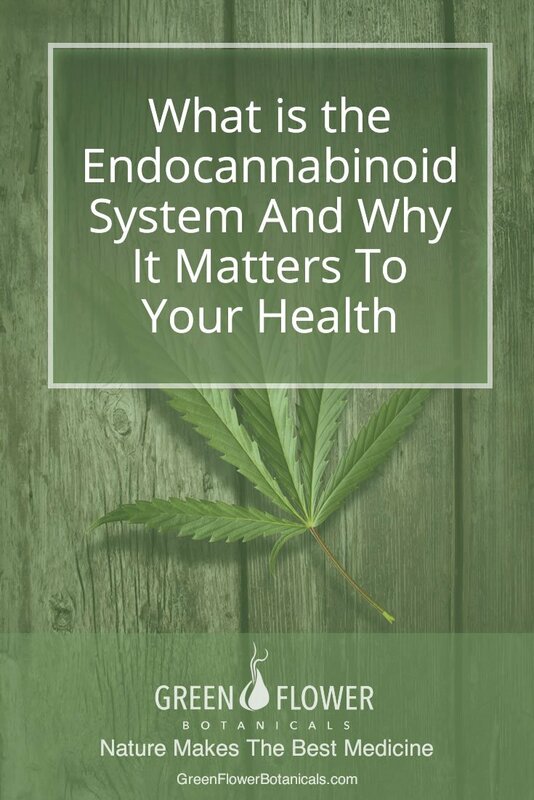 If something goes wrong in your endocannabinoid system, such as a deficiency or an inherent error in receptor production or function you will be more susceptible to developing one of more of a host of health conditions. Cannabinoid deficiencies are often seen in conditions such as migraines, fibromyalgia, and irritable bowel syndrome and may indicate a common underlying process among these conditions affecting completely different systems of the body 2. Endocannabinoids are also being investigated for their potential role in managing conditions involving inflammation within the nervous system, where they might be able to slow or stop disease progression, such as Alzheimer’s disease, Parkinson’s Disease, Huntington’s disease and multiple sclerosis3. Psychiatric disorders such as clinical depression and PTSD often have an endocannabinoid deficiency component. And, in some forms of cancer higher levels of CB1 and CB2 receptors have been observed, indicating that those cells are hungry and searching for AEA and 2-AG to help them restore health and homeostasis4. Additionally, not only do endocannabinoids and plant-derived phytocannabinoids improve symptom management, helping cancer patients manage their pain, get better sleep, stave off anxiety about their illness and counteract nausea and other side effects of cancer chemotherapy, but they have been found to directly attack and kill cancer cells4. Your endocannabinoid system is vital for memory storage and retrieval. Scientists have noted that protein tangles in the brains of Alzheimer’s patients may impair learning and memory, in part, by blocking the activity of endocannabinoids in the brain5. The endocannabinoid system also interacts with the brain’s emotion centers and plays a part in controlling fear, anxiety and depression. Experimentally, it has been shown that when CB1 receptors are inhibited in laboratory mice, their anxiety and fear behaviors as well as their physiological stress levels increase significantly6. As an important part of its role in maintaining homeostasis, the endocannabinoid system helps control energy production, storage and expenditure and may hold the key to overcoming some of the metabolic diseases that plague modern society, such as obesity, diabetes and cardiovascular disease. Where there are deficiencies in the body there can also be excesses. The low-grade inflammation and insulin resistance that go along with these conditions have been associated with overactivity of the endocannabinoid system. In obese patients with type-2 diabetes, a CB1 blocking drug has been found to help decrease blood glucose levels, lower inflammation and increase levels of heart-protective HDL cholesterol beyond what weight loss alone could accomplish7,8.